This article is continuously updated to reflect how programmatic creative is evolving. Programmatic creative enables data-informed, software-assisted creative executions that deliver on the promise of modern digital marketing. The purpose of programmatic creative is to harness the data that we’re spending billions of dollars to leverage in advertising and activate it to create a more successful execution—one that captures attention and increases campaign results. Studies suggest optimized creative can routinely boost performance by 30-50%, often more. So to attract eyeballs, programmatic creative is solving the production and creative management challenges in producing a large volume of ads, thereby enabling messages to be hyper-relevant. Rather than showing a generalized creative, these new technologies allow the experience to be specifically tailored and customized to the viewer. Better message testing and creative optimization are also significant benefits. By testing variations on a message, advertisers can utilize a learning mindset to uncover new insights about their audiences. Programmatic creative also has the power to help keep ad creatives fresh to the viewer through rotations, sequencing, or simply enabling the advertiser to update messaging in real-time. It’s important to remember that while programmatic creative may be machine-assisted, it isn’t robotic. These technologies are purpose-built to help data and creativity dance, thereby raising the bar for what is possible in paid media storytelling. What Are the Basics of Programmatic Creative? 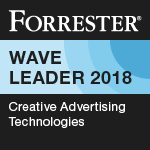 As a technology category, programmatic creative is used primarily by designers to facilitate and automate the routine and repetitive parts of the ad design process. The technology is particularly useful for generating a large volume of ads. As a basic example, programmatic creative allows a designer to simultaneously build multiple ads in different sizes and formats at the same time, offering huge time savings. Then multiple variations of each of those multi-size campaigns can be created to appeal to different audiences. This might be to create ads with different products, offers, localized promotions, or simply messages that appeal to different types of people. In the era of programmatic media buying, the sky’s the limit with what can be done with the creative. Given that the current reality is that many designers find the process of building a high volume of banner ads cumbersome, with so many variations for size, audience, or market, the power of programmatic to streamline workflows is immense. Programmatic creative also encompasses dynamic creative—ad units that are rendered on the fly with content that is personalized to the viewer. Many of these dynamic units have an automated optimization factor as well. The rise of mobile and death of Flash have forced designers to work in HTML5. Without programmatic creative, the added complexity can translate to extra cost for the advertiser and longer hours for the creative team. Update: Since the creation of this article, all major CMPs have released dynamic creative optimization capabilities of their own, effectively making DCO a subset of CMP functionality. CMPs are increasingly being viewed as not only their production tools and dynamic creative opportunities, but also capabilities that span channels (banners, social, etc) as well as formats (dynamic creative, static image, HTML5, etc). The content below has been modified to reflect this. Dynamic creative optimization and creative management platforms are complementary in their purpose. Both create opportunities to maximize the impact of the creative within programmatic and direct advertising. 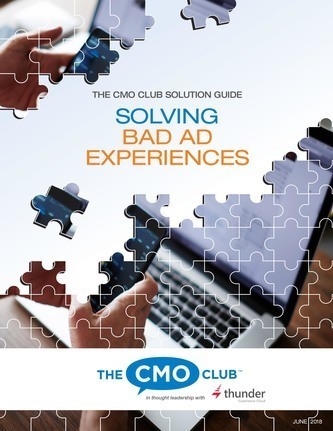 While there is significant overlap in the use of CMPs and DCO—this is all programmatic creative after all—each approach, dynamic creative and mass-versioned creative, brings unique strengths to the table. By understanding those strengths, you will be able to identify when a campaign execution calls for programmatic creative, and know which type of solution is most ideal: a CMP as a platform, or just a traditional DCO ad. But most importantly, a deep understanding of the technology helps you establish a well-informed programmatic creative mindset—a very important factor for success. To start with our comparison, let’s follow our metaphor: For your creative needs, do you require a workshop full of design power tools or an automated ad factory? What does it mean to say a creative management platform has a workshop of design power tools? It means many creative adaptations can be generated rapidly and to pixel-perfection. The efficient workspace allows for building ads en masse, but in a way that is conducive to creativity. In the end, the ad artisan is in control. 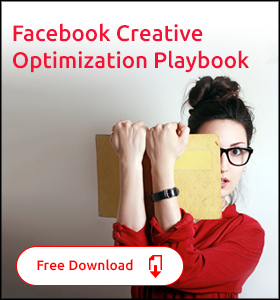 Dynamic creative optimization ad units, on the other hand, are more like ad factories. Inputs of data go in and out come ads. Setting up a factory is a major undertaking, and operating one requires specialized knowledge. Changes can require shutting the factory down and re-planning. But as long as the desired output doesn’t change, the operator has an efficient means to generate similar creatives automatically and in a set-it-and-forget-it fashion. Creative management platforms can make this setup easier, too. If there is one thing you walk away with from this article, it should be the power tools vs. factory metaphor, which is probably the easiest way to differentiate between CMP mass versioning, and DCO (whether it be from a CMP or otherwise). 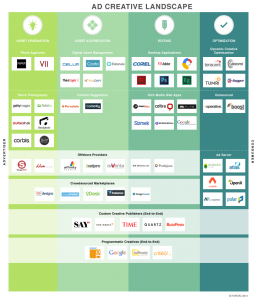 It is also a great way to visualize the potential of programmatic creative overall. Creative management platforms have emerged to empower advertisers to have a diverse set of creatives for any conceivable reason. This includes matching creatives to audience segments to enable message relevance, as well as being able to refresh or test those creatives. Designing with CMPs closely resembles the existing production process for digital ads, except the entire process is optimized for speed and scale. You’re building ads in multiple sizes at the same time. You’re quickly creating countless variations. Your file sizes are automatically optimized to help with load speeds and improve viewability. You can instantly switch context, from dynamic creative to static ads, to social ads. In this way, CMPs appeal to creative, production, and ad ops teams who are looking for agile ways to operate programmatic creative campaigns. The platform nature of a CMP also appeals to marketing organizations that wish to consolidate their efforts on a centralized platform and potentially reduce agency costs (case study). CMP have both the fully-automated approach of DCO, plus additional design tools. Thus the overall speed and flexibility of a CMP make it useful for a variety of campaign concepts. That’s because the creative is ever at the forefront of a CMP. While production speeds up dramatically, all modifications are visually represented and can be customized to be pixel-perfect. Use of a CMP goes hand-in-hand with a media optimization strategy that involves creative factors, so while many media teams won’t do the actual work in a CMP, they will enjoy the benefits by making the best use of their DSP and DMP data and carefully constructed media plans. What is Dynamic Creative Optimization (DCO)? Invented before programmatic media, traditional dynamic creative optimization uses data feeds to generate a lot of creatives, and as an option, DCO can algorithmically optimize performance through multivariate testing. Setting up a DCO ad unit typically requires careful planning, good data hygiene, creating automation rules, and integrating with media and/or data providers. Once that work is done though, DCO is a set-it-and-forget-it strategy. Ever have a product follow you around the web in retargeted advertisements? That’s the quintessential DCO use case. The same database of product information that powers an e-commerce site may be repurposed to make ads that personally retarget visitors with the products they viewed during their visit. DCO ad units can also typically optimize themselves over time. Once the campaign is in flight, creative optimization occurs within the ad itself, which is capable of handling multivariate tests limited only by a number of impressions required for valid experiments. Because they are so automatic and algorithm driven, DCO units appeal to designers and marketers who require many millions or billions of variations and who have the budget for enough impressions for each variation to run a statistically significant test. DCO technologies come in many shapes and sizes and are part of many popular ad technology stacks. Their complexity usually requires the advertiser to work with some kind of services team provided by the vendor on the execution. Their internal logic also adds extra code to the ad. This increases the file load size which can slow load speed and negatively impact viewability. As you can see, DCO’s dynamic properties are very applicable to specific problems, but overall the technology has fewer applications than what you can do with a CMP. The fusion of data and creativity is a fairly new discipline, and the question of who is responsible for maximizing the creative impact of a media buy comes up frequently. The process of making programmatic creative happen usually begins at the strategy level. A collaboration of media and creative can identify if there is an opportunity to customize ad messaging or test creative variations. With a plan in place, the actual execution then falls to other departments. CMPs enable programmatic creative for designers, producers, and ad operations team members who are looking for software that feels like an extension of their existing tools. Because of the simplicity of workflow in the CMP, even marketers or less technically savvy folks can get results. In some cases, campaign managers, ad traffickers, marketers, and even ad salespeople have begun to use CMPs to personalize ads themselves. Traditional DCO, on the other hand, has historically been a managed service due to the high complexity in setting up the ad units. Those who do cultivate the know how in-house will often find the base creative built by one team member, and the ad unit logic integrated by either their technology vendor, an interactive developer or a member of the ad ops department. In this way, DCO units are typically operated by a small group of experts and not the broader team like a CMP. These differences aside, some organizations have begun defining new roles in order to cultivate a specialization in creative optimization. These jobs have titles like Biddable Media Engineer and Creative Planner and represent the ideal hybrid of media and creative. How Well Does Programmatic Creative Work For Direct Response? Both CMPs and DCO are well suited for powering programmatic creative for direct response campaigns. DCO was originally popularized in direct response executions, so it often comes to mind. In any circumstance where there is a large database of products and offers that could be optimized, DCO’s rules-based methodology can be hooked up to do the heavy lifting. The automatic optimization that is possible in a DCO unit is seen as a big benefit to campaigns running hundreds of millions of impressions a month. CMPs can be used to great effect for direct response campaigns as well. CMP mass versioning can outshine DCO when there is some in-flight learning or optimization to be done, or where creative flexibility is required. The speed and ease at which ads can be produced are helpful for making updates and promotions, for example. Firms just getting started with programmatic creative may not yet understand what will work best. Rather than doing an extensive build out with DCO, a CMP can be leveraged to quickly get into the market with some concepts and start launching experiments. How Well Does Programmatic Creative Work For Branding? The CMP mass versioning shines here, as technical skill requirements are minimal, and its flexibility is better suited to the creative process and fluid workflows involved in branding campaigns. The ability to make pixel-perfect adjustments to each individual creative allow CMPs to stand out in particular. DCO ads do work for the purposes of branding, but only when there isn’t a wide variance in the content. For any dynamic element, the dimensions (length, size, etc.) need to be consistent. This limitation is because DCO ad units produce a variation by calling a data feed where each element has to work for every ad unit. This difficulty is amplified for cross-screen campaigns because there is no tailoring or customization per ad size, big or small, vertical or horizontal. Presenting different value propositions or using multiple languages becomes very hard to do. Programmatic creative excels when it comes to building campaigns that only have small variations across a broad set of markets. For instance, regional and franchise ad campaigns often have nearly identical ads, which are localized. A national chain might target ads to users near their locations with the specific addresses changed on each ad. This could result in 10s or even 100s of ad versions multiplied across various ad sizes. By streamlining the process of producing ad variations, programmatic creative provides a method to make such a volume of ads without the majority of work which would typically be required. Co-op advertising is another huge opportunity for programmatic creative in the auto, home improvement, electronics and CPG verticals especially. Digital co-op programs are estimated to be worth $1.7 billion annually. Co-op advertising refers to an agreement between a manufacturer and retailer to share advertising costs. Local retailers can be reimbursed by the manufacturer for including the manufacturer’s products in the retailer’s ads. To qualify for reimbursement, these ads need to abide by specific guidelines with regard to the logo and product images, text, and other criteria. Publishers and agencies can leverage programmatic creative to quickly generate ads for retailers that abide by co-op guidelines and claim more of this value. Since so much of the co-op advertising process is already standardized, using ad templates that are driven by programmatic creative is the ideal way to quickly create digital ads that meet manufacturer guidelines. As you can see, there are potentially a lot of moving parts within programmatic creative, and depending on your goals, whether you implement a CMP or DCO can have a big impact on your success. Yet when you are able to connect campaign goals, teams, workflows, and other ad technologies together, your organization can take full advantage of our programmatic future—having better-tested, more relevant creatives that activate the full value of your DSP and DMP investments. Your result: powerful and compelling advertisements, driven by data, that reach your target customer wherever they may be. 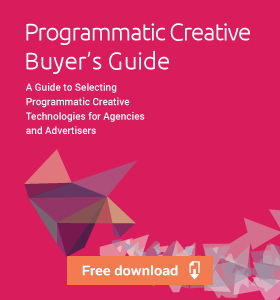 Excerpts from this article have been reworked from the ebook The Essential Guide to Programmatic Creative Technologies. The book goes into much more detail and includes example creatives, workflow breakdowns, and a robust FAQ. 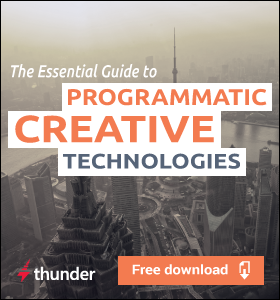 If you’re ready to explore the tech that will transform programmatic marketing at your organization, this is the ultimate ebook to kickstart your journey.